The Sierra Nevada snowpack, which Californians rely on heavily during the dry summer months for their water needs, continues to disappoint this winter. Despite the snowfall in the Sierra Nevada Range over the weekend that gladdened ski and snowboard enthusiasts, it was not enough to offset weeks with no snow at all. Today’s manual survey by the Department of Water Resources (DWR) at the Phillips snow course in the mountains 90 miles east of Sacramento found 0.9 inches of water content in the snow, just 5 percent of the March 3 historical average for that site. Electronic readings by the Department of Water Resources (DWR) today indicate the water content of the northern Sierra snowpack is 4.4 inches, 16 percent of average for the date. The central and southern Sierra readings were 5.5 inches (20 percent of average) and 5 inches (22 percent) respectively. Statewide, 103 electronic sensors found today’s snow water equivalent to be 5 inches, 19 percent of the March 3 multi-decade average. When DWR conducted the season’s first two manual surveys on December 30 and January 29, the statewide water content was 50 percent and 25 percent respectively of the historical averages for those dates. The snowpack’s water content this year is historically low for early March. Only in 1991 was the water content of the snowpack lower – 18 percent of that early-March average. Manual surveys of 180 snow courses this year reveal even less water content – just 13 percent of the early-March average, the lowest in DWR’s records for this time of year. The difference between electronic and manual surveys is explained by the higher elevation of most electronic sensors, where they receive more snow than many of the lower-elevation snow courses. After records for dryness were set in many parts of the state in January, two storms in early February delivered enough precipitation at eight northern Sierra weather stations to bring the month’s total up to historical standards there. That short rainy interlude was followed by three weeks of virtually no rainfall in the northern Sierra, and precipitation at the eight stations since Water Year 2015 began on October 1 is now only 87 percent of average for that period. Further south, the 5-station San Joaquin index is 48 percent of normal, and the six-station index in the Tulare Basin is similarly far below normal at 51 percent. Weeks of spring-like weather have produced more rain than snow when storms did arrive during California’s warmest winter on record. California’s historically wettest winter months have already passed, and it’s now almost certain that California will be in drought throughout 2015 for the fourth consecutive year. Unless this month approximates the 1991 “Miracle March” with significantly more precipitation than normal, the traditional wet season will end on April 1 with an alarmingly low amount of water stored in the mountains as snow. In normal years, the snowpack supplies about 30 percent of California’s water needs as it melts in the spring and early summer. The greater the snowpack water content, the greater the likelihood California’s reservoirs will receive ample runoff as the snowpack melts to meet the state’s water demand in the summer and fall. The major water supply reservoirs are storing more water this year than last but are still far below the historical average for early March. Lake Oroville in Butte County, the State Water Project’s (SWP) principal reservoir, now holds 49 percent of its 3.5 million acre-foot capacity (70 percent of its historical average for the date). Shasta Lake north of Redding and the federal Central Valley Project’s (CVP) largest reservoir, is at 58 percent of its 4.5 million acre-foot capacity and 78 percent of its historical average. 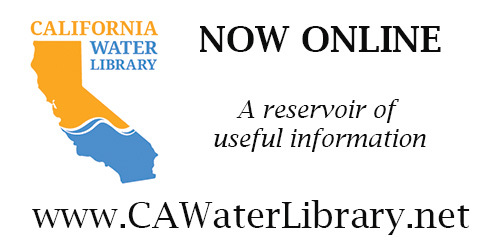 San Luis Reservoir, a critical south-of-Delta pool for both the SWP and CVP, is faring better due to recent water deliveries to the reservoir as a component of the agencies’ drought management strategy. San Luis holds 64 percent of its 2 million acre-foot capacity (75 percent of normal for the date). Governor Edmund G. Brown Jr. declared a drought State of Emergency on January 17, 2014 and directed state officials to take all necessary actions to prepare for water shortages. 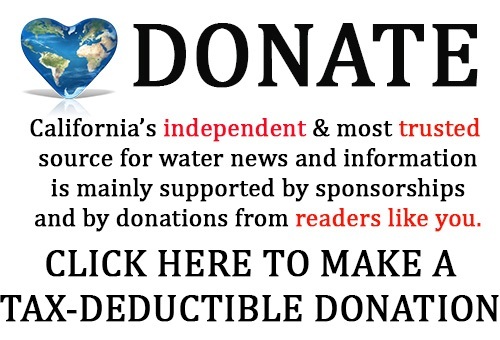 He called on all Californians to voluntarily reduce their water usage by 20 percent. 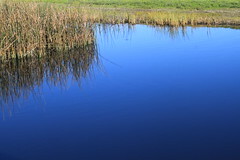 Conservation – the wise, sparing use of water – remains California’s most reliable drought management tool. Each individual act of conservation, such as letting the lawn go brown or replacing a washer in a faucet to stop a leak, makes a difference over time. 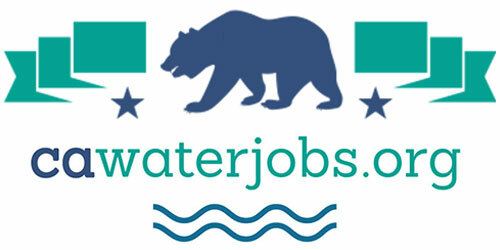 Californians can learn easy ways to save water every day by visiting SaveOurWater.com. California’s efforts to deal with the effects of the drought can be found at drought.ca.gov. Get the Notebook blog by email and you’ll always be one of the first to know!